Question: I am spiritually inclined. I am naturally drawn to spiritual people and subjects. But I am not sure whether I need a guru or who is the right guru for me. Do I genuinely need a guru to continue on this path? I prefer to be left alone. Please clarify. Guru means a teacher, the one who removes mental and spiritual darkness with his teachings and conduct. In common usage, any person who is an adept in some branch of knowledge and who imparts the same to others is considered a guru. However, more specifically in Hinduism it is used in the context of a spiritual teacher, or the one who helps others in their liberation. In Hinduism, spiritual Gurus are the pillars of the tradition. They are the self-appointed guardians of the Dharma. A guru is a living God, an aspect of God or a representative of God with access to the knowledge of God and liberation. Above all he is a great devotee of God and personifies the best of human character and conduct. He does not have to have followers or wear orange robes. If he is engaged in teaching and spreading the knowledge, he is a guru. The gurus are largely responsible for the continuation of Hinduism for thousands of years, despite the numerous challenges it faced. Hindus revere them with great respect and treat them on par with gods, parents and God himself. The spiritual gurus of Hinduism play many roles in society and serve many purposes. They act as spiritual advisers, counselors, teachers, astrologers, therapists, leaders, protectors, guardians, exorcists, messengers, healers, reformers and upholders of Dharma. Hindu gurus come from both genders and all classes of society. Some may be even illiterate but possess the knowledge of the Self. Through their teachings and character, Hindu gurus exert a lot of influence upon society, serving as role models, experts in secret doctrines and esoteric knowledge. They are looked upon with respect and faith as the final authority on virtuous conduct and on the finer aspects of liberation theology. In spiritual matters, they provide their followers with knowledge as well guidance and inspiration for liberation. 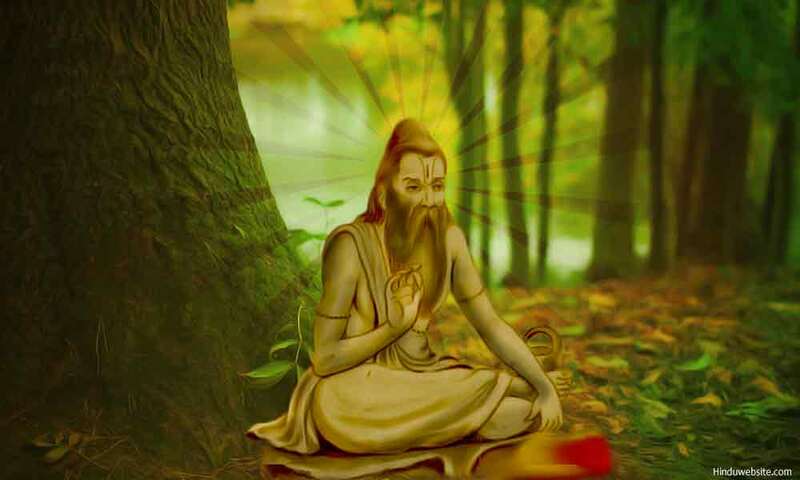 Apart from parents, in the past the gurus had been the main source of spiritual knowledge to people since only they possessed the secret knowledge of the Vedas and other scriptures. Students used to spend decades in their homes (gurukulas) to acquire the basic knowledge of the scriptures and spiritual wisdom. Today, much of that knowledge is in public domain, and one can get it from many sources. Therefore, as far as basic knowledge is concerned, our reliance upon gurus has become redundant. Another important recent development is that many gurus are public figures. In the past, they used to live in remote places, and even forests. Now, they live in society and their lives are as open for public scrutiny as those of celebrities, politicians and popular figures. Their teachings are also publicly available through many sources and mediums. Hence, without visiting them or following them, one can know a lot about them, their personalities, private conduct, teachings, scandals, controversies and other activities. The question is, when you have so much information freely available about the religion and spirituality, whether you still need a spiritual guru. The answer to it depends upon your personal choice and temperament. If you are self-reliant and disciplined and think for yourself and if you are still in exploratory phase, you may not require a guru, but if you cannot practice discipline on your own or cannot rely upon your own judgment and discretion, you may need one to guide you, goad you or approve you. A guru is not a mere substitute for books or scriptural knowledge, just as having little knowledge of few diseases does not preclude the need for a doctor. A guru is an adept, who imparts skillful knowledge, which is different from the one you find in the books. Outwardly, both may appear to be the same, but the knowledge which arises from the guru’s mind is infused with the light of his own experience or a whole lineage of his prior masters. It has the power to cleanse you and transform you. It is like the waters of the River Ganga, which flows upon earth from the head of Lord Shiva, the universal Teacher, and purifies, enlightens and liberates. Books may increase your interest and curiosity in spiritual matters, but spiritual practice needs a lot of motivation, genuine effort and sincerity. Sometimes a guru can push you into that mode and force you to open your eyes. He can also help you minimize your mistakes and dangers on the path. He may help you know where you are on the path, and whether you are progressing in the right direction. Every spiritual aspirant who is striving for liberation needs a guru as his or her charioteer in the battlefield of spiritual life. A guru is comparable to the sun. He spreads the light of liberation. Anyone who comes into his presence can benefit from it. Wordily people and lay followers can also benefit from him by seeking his company, even if their intentions are impure. Just as in a satsang (meeting of the truthful), they can spend time in his presence to recharge their minds and bodies, regain their balance, gain confidence or feel reassured and good about themselves. People approach a spiritual guru for various reasons. They may do so out of curiosity, depression or boredom. They may also seek them to learn, find a mentor, seek guidance and blessings, fulfill worldly desires, cure some disease, feel important, find a purpose, practice spirituality, gain knowledge or achieve liberation. Some may do it just because their friends, neighbors or a large number of people are following a popular guru and want to join the crowd to feel inspired, accepted or approved. If you are seeking a guru for any of these reasons, except liberation, your need for a Guru may not be that serious. If you are serious about it, you must let a guru manifest in your life rather than forcing yourself upon him. One of the popular beliefs of Hinduism is that a guru and his disciples are made for each other. If you are genuinely driven by an aspiration to achieve liberation, one of the following two will happen. Either you will find a guru, or your guru will find you. Thus, before you start seriously looking for a guru, examine your intent or motivation. Ask yourself how serious you are about your liberation. If liberation is just a fancy word, perhaps you may continue with your spiritual exploration and improving your knowledge. The Bhagavadgita says that out of millions of people and only after innumerable lives does a person become genuinely interested in achieving liberation and approaches God with unconditional devotion. One of the advantage of following a guru is that he may give you spiritual advice, which is specific to your personal needs. He may also protect you from your own negative karma, and from evil influences of the world. When you are initiated, your guru gives you a guru-mantra, which can help you to focus your mind and engage in spiritual practice. He may clarify your doubts, correct your mistakes, resolve your karma, guide you in the practice of self-discipline and purification, serve as an example for others to follow, bestow his grace upon you and provide you with knowledge and clarification. Here also, the result and the work of the guru depend upon your faith and commitment. In today's world, it is difficult to find a genuine guru and obtain his initiation. It is even more difficult to find a guru who has time for you. A guru can initiate you in different ways. He may do it directly in person by giving you an audience, by a mantra, by touch or by looks. He may also do it indirectly by a look, visual thought, letter, word, dream, or subliminal suggestion. If you are initiated indirectly, you may get further signals about it through dreams or intuition. It is difficult to explain why a guru chooses certain followers and ignores others for initiation, or why he considers a few for his advanced teachings. A guru himself may not always know the answers to such questions since he is not always guided by reason or purpose in his decisions and judgment. Since karma works in mysterious ways, you may never know in advance who will be your guru, or when you will be initiated into spirituality by an enlightened master. Sometimes, a guru may appear briefly in your life to give you a few instructions and disappear forever, leaving you entirely to fate or your own effort. Sometimes, you may also be initiated by gods or spiritual masters from higher realms. Distance is not a problem. A guru who has achieved oneness with God is always in communication with his followers as their very witness. A guru is the face of God. Your real guru is always God himself. He is the power, which guides your spiritual effort. He is always there, with you as your true Self and your inner witness. Therefore, you may follow your heart in choosing a guru, but you should not bring your ego into the effort. It is tamasic to insist on him for an initiation when you are not truly ready. That decision should be entirely left to him. Finally, the guru is not your destination, nor should you become attached to his human personality or ego. God is your true guru. He is only the means, the raft, or the support to reach the immortal world. Your true guru resides in you as your own Self. Until you find a true guru, worship the guru in you so that he may show you the right guru when the time is ripe.